A retro inspired poster of an A380 cockpit for Liquid Shot Co. The LSC monogram was created by Dan Gretta and the Eagle Logo by hochcreative. 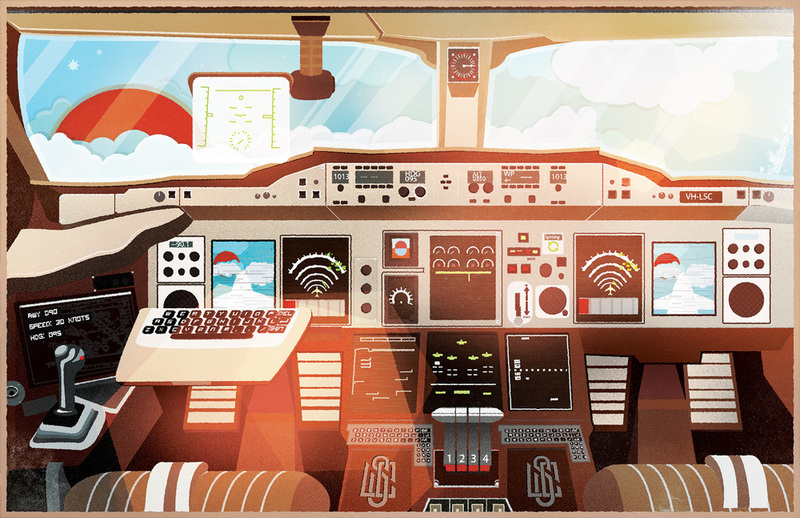 A retro inspired poster of an A380 cockpit for Liquid Shot Co. An airline beverage solution that clearly focuses on some really gorgeous branding and aesthetic. The LSC monogram was created by Dan Gretta and the Eagle Logo by hochcreative.